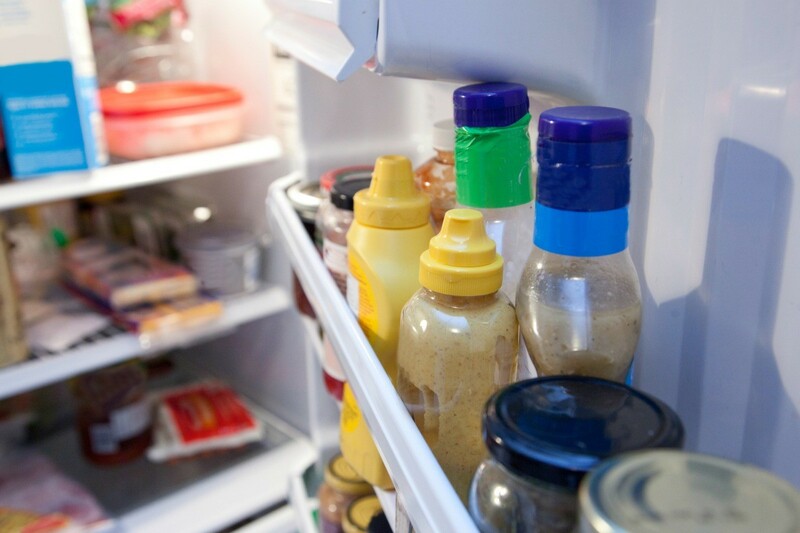 Organizing your condiments in the fridge can not only save you time when cooking or preparing lunch for school and work, but it can help alert you to the need to replace supplies that are getting low. This is a guide about organizing condiments in your refrigerator. I live in an older mobile with the original refrigerator. The light doesn't work and most of the slats for the shelves are broken. For this reason, I have to keep the shelves pretty close together and I find that limiting in keeping things from getting shoved into the back and forgotten. Then, I found an old tray from a camper refrigerator and came up with a pretty nifty idea. If you have food storage containers that fit inside it, and they are not too tall, you can use this as a tray of sorts,and slide it in and out. The only drawback I found, is that if you don't hold it when you pull it out, you can lose the stuff in front. That just means you have to hold it with one hand while putting in or taking out the container. 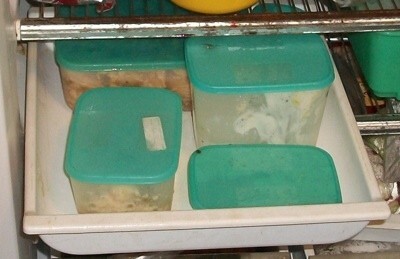 For me, it's a small price to pay for knowing you can fit 5 or 6 containers. I use these just for leftovers, so I know to look there first for foods. I hope this helps. You might be able to do the same thing with an old cake pan you no longer use. Just coat it with newspaper or foil, and slide it from front to back or from side to side. Try keeping most of your sandwich making items in a plastic basket in your refrigerator. Not only does this save multiple trips to and from (opening the door each time) but your kids won't require much help at snack time! The same applies for home picnic items, all the condiments simply get toted to the patio in one swift trip!